ECC and AHA 2010 updates changed the CPR sequence from A-B-C to C-A-B. Often in the A-B-C method chest compressions were delayed. With the new Compressions – Airway – Breathing method a victim receives compressions faster, providing quicker critical blood flow to the vital organs. per minute in cycles (or sets) of 30 compressions and 2 breaths (30:2). Depth of compressions: detailed in following chapters for adult, child and infant. Chest recoil is vital after each compression. Open the airway with the head-tilt chin-lift motion. Per the 2015 updates, you should deliver at least 100 to 120 chest compressions per minute (previous rate was 100 compressions / minute). Recent science indicates that more compressions lead to a higher survival rate. This new update sets an upper limit for the chest compression rate, as excessive compressions and depth can adversely affect a patient’s outcome. The Hands-Only CPR method is recommended for use on teens or adults that you witness suddenly collapse. This is CPR without the rescue breaths. 2. 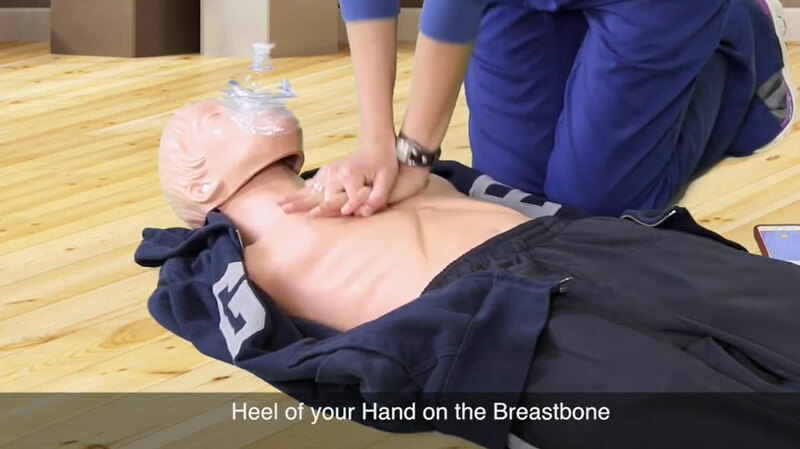 Push hard and fast to give chest compressions. This method is also effective for individuals who have been trained in CPR before but may not remember all the steps of conventional CPR. *The Good Samaritan Law is intended to reduce bystanders’ hesitation to assist in an emergency.